The Speedmachine’s real talent has always been it’s combination of fast and fun performance with full suspension comfort – it’s a lively and manouverable bike that’s great fun to chuck into corners or power down the straight, but it won’t jar your teeth out either. Until now, though, it’s not been so good for touring. 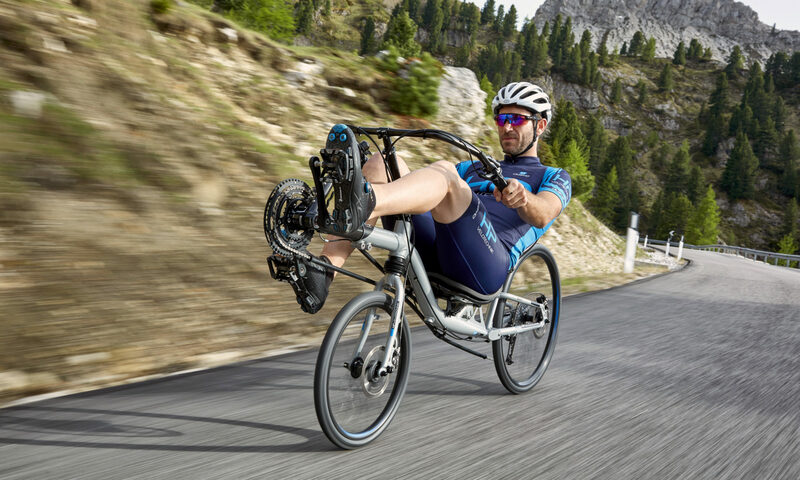 The new model is much better in this regard – it has the option of underseat steering for a more relaxed (though less aerodynamic) position, and a new lowrider carrier means it can carry four panniers. HPVelotechnik also added the very adjustable Bodylink seat as used on most of their other bikes.